Walk for a Dog – Pets On Wheels of Scottsdale, Inc.
Pets on Wheels while walking your dog. 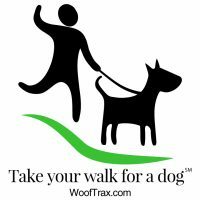 Pets on Wheels of Scottsdale has partnered with WoofTrax to earn donations from your support while walking your dog. To participate, download the free “Walk for a Dog” app to your Android and/or iPhone. Sign in to the app and set up for “Pets on Wheels”. Click on Enroll and follow set up from there. When you walk your dog, turn on the “Walk for a Dog” app and enjoy your walk knowing you’ll be making a donation to Pets on Wheels. At the end of your walk, you can check your history of walks and the impact you’re making to the organization. Donations are based on Active Walkers (walking at least once a week) and funds calculate on 1/4 mile walks (has the impact of a 5 mi walk).